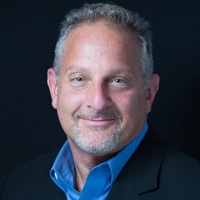 Michael Rosman is a 30-year veteran of the catering and restaurant industry and ranks among the most sought after consultants in the corporate catering field today. As owner and operator of The Corporate Caterer, Michael strives to help existing caterers and restaurateurs launch or grow successful corporate drop-off catering divisions. What began as a small restaurant in Boston’s historic Beacon Hill neighborhood, ultimately transformed into a $2 million dollar a year corporate catering operation as a result of his unique formula for success. Michael is able to identify and strategize how operators can take better advantage of the potential for repeat business in this lucrative market, and brings to them his wealth of catering knowledge, as well as resource material, moving them from the sidelines into the game. Michael has established a national presence and is widely regarded as the “all-in-one, go-to resource” in the industry. He has walked in your shoes, experienced your struggles and found solutions that led to the road of profitability, while staying true to a work-life balance that reflects his core values. He pulls back the curtain to reveal decades of trade secrets, share coveted insider tips, and teach the lessons learned from our mistakes, as stated in his book series of the same name. Michael gives caterers and restaurants that elusive last piece of the puzzle that puts food-service operations over the top. Michael is also a senior consultant with Certified Catering Consultants which is recognized as a premier collaboration of the most well respected thought-leaders in every segment of the industry.